A durable plastic trim housing a rebated intumescent seal (Product 100), designed to give hardwearing protection to door edges. Available in brown or white as standard. 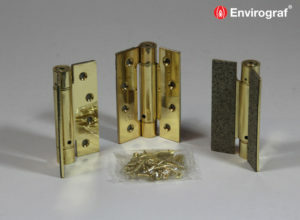 Can be fitted rebated on new doors or surface-mounted on old or damaged doors. 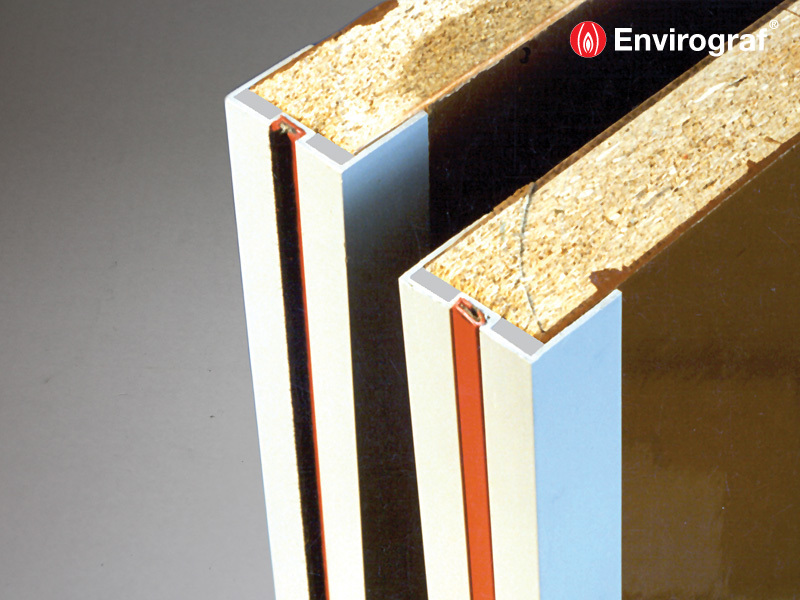 The trim has a flexible section enabling it to be separated into two sections to fit doors from 42 – 46mm and 52 – 56mm thicknesses. The door edge protective trim simply slips over the door edge in one piece or in two pieces for thicker doors: separate into two pieces by rocking along the central line until the parts separate. Peel off the backing paper of the self-adhesive strip on the inside edges of the trim, slip the door trim piece(s) over the door edge and fix in place with panel pins through the grooved section (not through the smoke seal). Remove backing paper from the self-adhesive strip on the back of the seal holder and press into the rebate in the door edge protective trim. 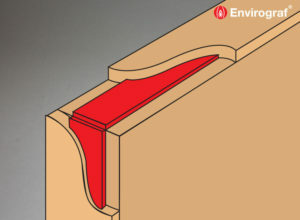 The trim can be surface mounted or rebated as required. Tested to BS476 Part 23 (1987), achieving up to 69 minutes integrity. Tested to the European Standard EN1634-1 (2000).